For those unable to attend this workshop in person (June 13 in Sault Ste Marie), why not join in the online webinar version! Register today! 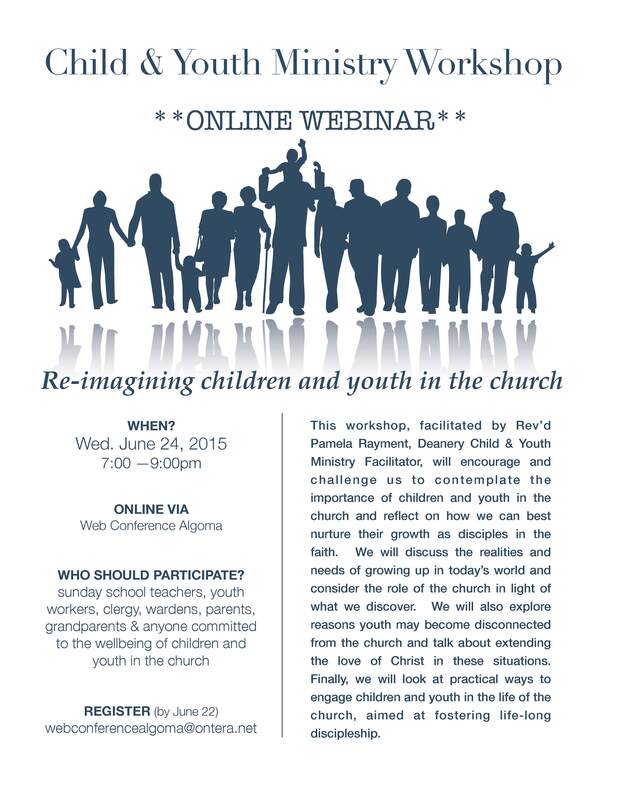 May 25, 2015 in Child & Youth Ministry, Congregational Development, Learning, Miscellaneous.